In modern times, a business cannot survive without a multipurpose and high-production device like the Canon imageRunner 600. The modernized device is a super power printer, copier, and includes a high-tech scanner. The imageRunner 600 delivers high-quality output, and it produces double the volume than its predecessors. Canon, again, offers an ultra-dynamic tool with all the capabilities that no other company offers. The single-click, easy-to-use interface makes for a productive working experience. The imageRunner 600 permits printing or copying documents at a fulfilling rate of 60 pages per minute. With a page printed every second, one may now undertake tasks that require immediate production time. The imageRunner 600 leaves all its competitors in the dust when it prints at a 1200 x 600 dots per inch in resolution; making it one of the fastest printer/copier devices that provide quality images in its series. To top it off, the imageRunner 600 supports 256 shades of gray. The scanner resolution is 600 x 600 dots per inch. End-users will not need to reload papers every day with the imageRunner 600’s capacity to facilitate 4,150 of standard-sized papers. If this is not enough, the flexibility permit users to add an optional paper deck, which holds 3,500 additional sheets, making the total capacity a whopping 7,650. Users can stock statements and 11” by 17” papers for most jobs utilized by office-like environments. The optional added presents its usefulness when making copies and prints at the same time. All in all, the imageRunner 600 facilitates a feeding system on its adjustable cassettes and trays. The imageRunner 600 comprises of many unique features, like the Smart Scan page recognition system, which automatically detects the text orientation. Its copy reservation program will let users to store the common copy jobs in its built-in hard disk; ideal for jobs demanding high quantities of documents. Its page positioning system automatically arranges the sheets while performing saddle-stitched jobs. The finishing application, a luxury quality item, permit choosing between stapled, saddle-stitched, or punched formats. 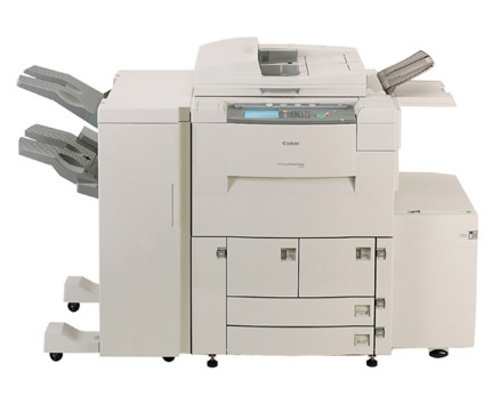 Canon has adapted modern technology in the connections between office equipment and networks. The imageRunner 600 has set the bar with its super fast MIPS R5000 processor with 200MHz speed. 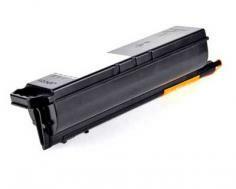 The printer permits direct connections to the main node. The Token Ring topology, which is an older model of networking, will work with the printer. Printing and networking is possible with a single board. The standard topology is the 10/100 Ethernet configuration with bandwidth speeds of 10/100 mega bits per second. The drivers support a wide range of languages, which successfully integrates diversity. It can work with multiple client PCs at the same time with its sequential system to queue client-commands for better performance. The imageRunner 600 comes with a standard 2.1GB memory hard disk drive. The printer allows for enlargement and reduction from 25% up to 400%. It accepts the input of regular sheets, books, and three-dimensional documents; the printer supports up to 100 pounds in weight. With output sizes from statement to ledger, it holds over 2000 sheets in its two trays. One newly added option available in the imageRunner 600 is the Z folding technique, which is available as an accessory to be used with the Saddle Finisher unit. With all the proper specifications and off the chart programs that the ImageRunner600 offers, it does lack in some areas, like its warm up time of up to five minutes, which is exceedingly slow compared to the competing devices. The print i/f button takes a long time to change its ‘wait’ status due to delayed processing. It does not offer any fax services, which is weird seeing its savvy connectivity system. Review it: "Canon imageRUNNER 600 "
The imageRunner 600 comes equipped with an original GPR-1 Black Toner, which produce over 30,000 pages at a 6% coverage rate. Its GPR-7 drum gives 5 million impressions. 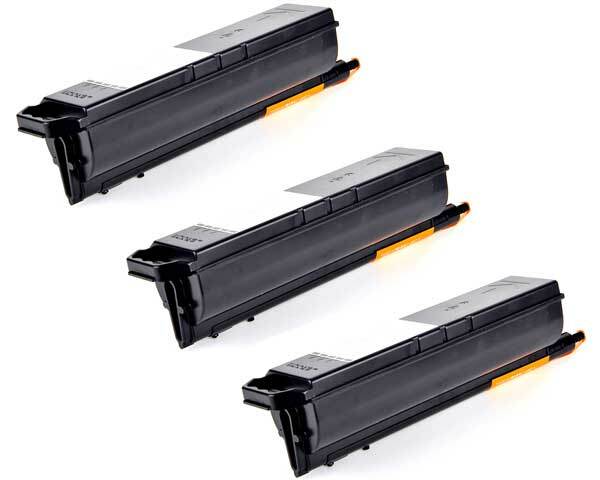 The 1kg toner has a whopping shelf life of 18 months.